Sandra is not the only iPhone owner who has ever had the need to restore contacts to iPhone. Numerous people lose their iPhone contacts and are always left wondering whether restoring them is actually possible. This article is dedicated to showing you how to restore contacts to iPhone with reliable ways that you need to know. Step 1: Launch Settings, tap iCloud, and login if you aren’t already logged in. 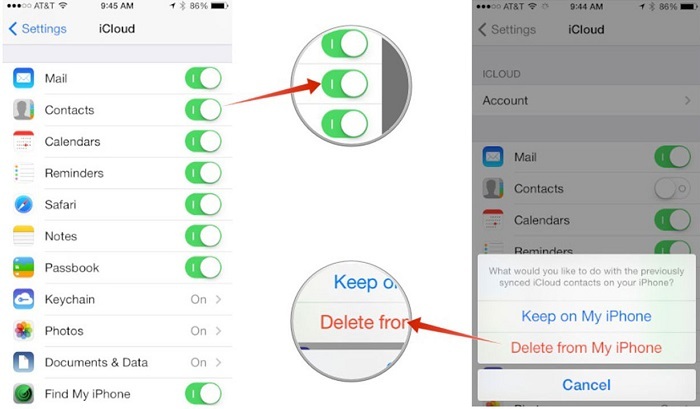 Toggle off Contacts and choose Delete from My iPhone on the popup. Step 2: Toggle Contacts back on. 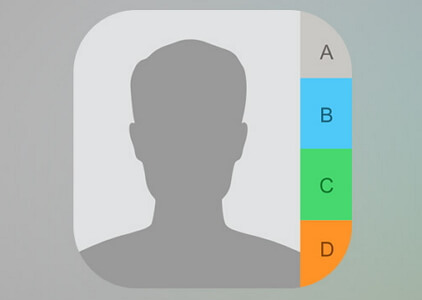 Your contacts should appear on your iPhone after a few minutes. Step 1: Visit iCloud.com on your PC, click Settings and then tap Restore Contacts. Before clicking Settings and Restore Contacts, please make sure that you have logged in. Step 2: Tap Restore to make the right of the contacts version to be restored. Step 1: Turn your iPhone on. A Hello Screen should appear. 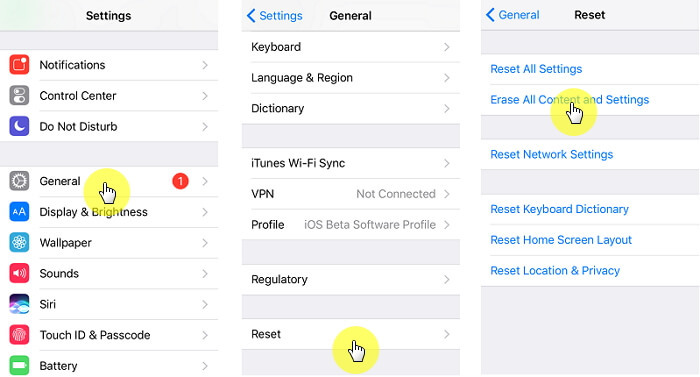 If the iPhone is already set up, erase it by opening Settings > General > Reset > tap Erase All Content and Settings. 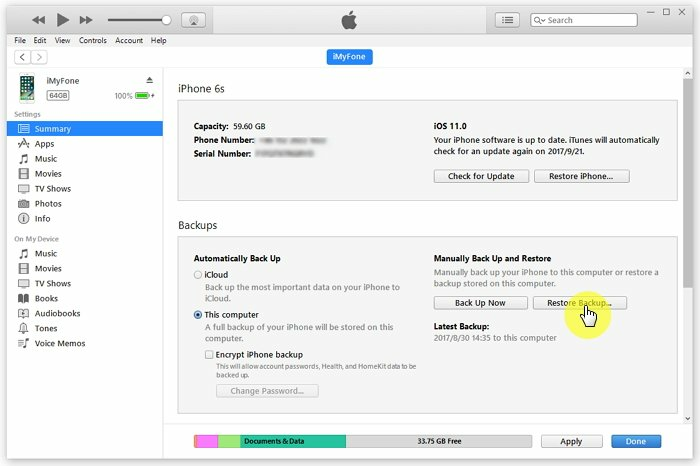 Step 2: Follow the instructions on your screen and select Restore from iCloud Backup on your Apps & Data screen. Step 3: Sign in using your Apple ID and Password and select a suitable backup. After selecting a suitable backup, the restore should begin. You may be asked to sign in again to restore your apps and purchases. You can tap Skip this Step. Stay connected to a strong Wi-Fi network until the restoration is finished. Step 4: Finish the set-up process and check your contacts. They should be available on your iPhone. 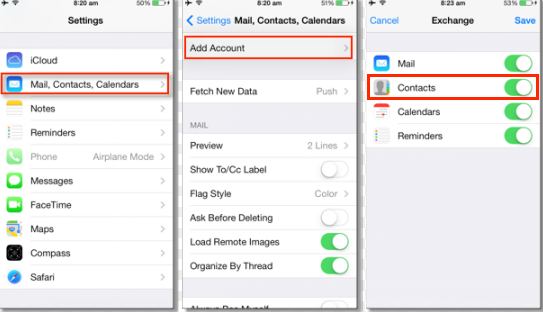 Step 1: Launch Settings > tap Mail, Contacts, Calendars > click Add Account > tap Google or Other Cloud Services. Step 2: Enter your Credentials. Click Sign in and then tap Allow. Step 3: Toggle on Contacts and then click Save on the top-right corner. Step 1: Launch iTunes on the computer you used to back up your device. Connect your iPhone to the computer using a USB cable. Enter a passcode if asked for one and follow the onscreen instructions if asked to Trust This Computer. Step 2: Select your device on iTunes. Choose Restore Backup in iTunes and then select the backup that may has your Contacts. Step 3: Tap Restore and wait while iTunes restores your backup. If your backup is encrypted, a password will be required. Keep the device connected until it finishes syncing with the computer. Step 1: On your iPhone whose contacts you wish to restore, open iPhone Messages. Create a new message. 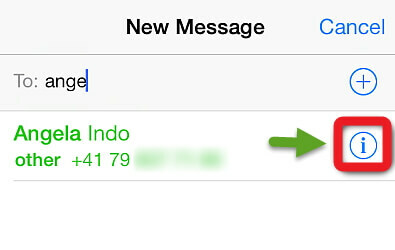 Step 2: Type either the name or the number of the person whose contact info you wish to restore in the "To" field. Step 3: The contact info of the person will show up most likely. If this info does show up click the “i” circle to create a New Contact for the person. All the methods we have outlined above have the ability to help you restore your iPhone contacts. However, they have limitations. Some of them will not work for you while others will result in data loss on your iPhone. For example, if you are using either iTunes or iCloud backup to restore contacts to iPhone, all your previous data will be erased. In the case of iCloud backup, you have to erase your iPhone beforehand. In the case of iTunes, your data will be overwritten. iTunes limits you to only using the computer you had previously used to back up your iPhone. The above limitations point out to the fact that there is a need for a better tool to restore contacts to iPhone. But, is this tool actually available? Let’s find out below. You can restore your data selectively. You can choose to either restore Contacts, WhatsApp, WeChat, or SMS only. This data can be restored from all backup platforms including iCloud/iMyFone/iTunes. You won’t lose any data during the restoration process on your target device. 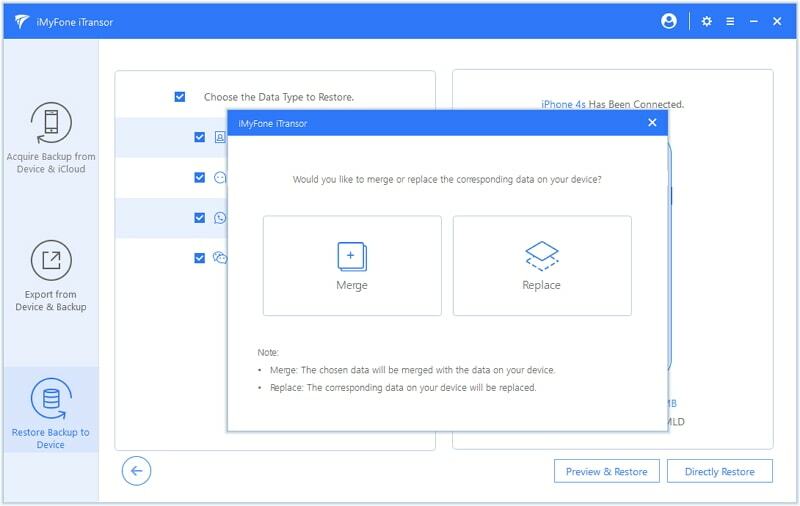 While restoring your contacts, WhatsApp, SMS, and WeChat, you can merge this data with the currently available data on your device. Absolutely zero overwriting will happen. 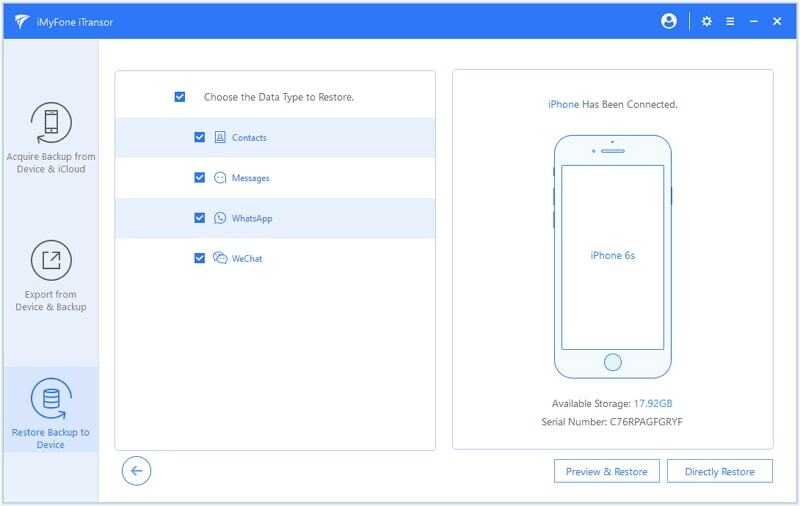 Before Restoring your contacts or any other data, you get to preview the data to make sure it is the data you need on your iPhone, iPad, or iPod Touch. You can view and export more than 18 data types from iTunes/iCloud/iMyFone backups. You can back up your data partially. You can make a full backup of all your settings and data. Also, you can restore the full backup to your iOS device without iTunes. Maybe you lose your old iPhone (someone stole it or it got lost). You have to get yourself a new iPhone. The new device arrives with absolutely no contacts. The only way to get all your contacts back is to restore them from somewhere. Maybe your son erased everything on your device when you had to give the kid your device to keep him calm as you concentrated on your work. Oh, you don’t believe in secrecy in your home. Hence, your iPhone didn’t have a passcode. Like Sandra who had posed a question that inspired this article, you had to reset your iPhone back to factory settings to eliminate the bugs which caused it to malfunction. Step 1: Launch iMyFone iTransor on your computer. 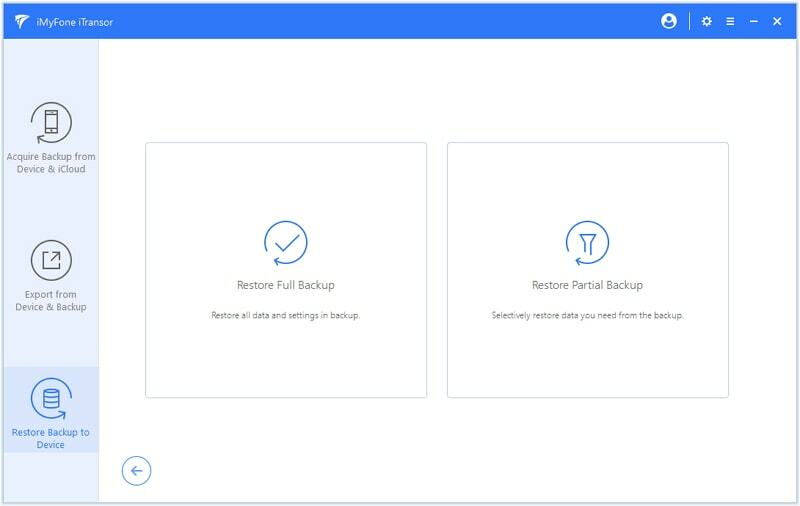 Select the Restore Backup to Device tab and all your backups will be shown on the list. Choose one you need and tap Restore Partial backup. Step 2: In the Next Screen, you need to choose Contacts and make sure your iPhone is connected to the PC. If you need to restore more data than just the contacts, choose the data you need from the available options. After selecting the data you need to restore, you can either click Directly Restore or Preview & Restore. If you choose Preview & Restore, Step 3 is needed. If you choose Directly Restore, skip step 3 and move on to step 4. Step 3: View the data you have selected in step 2 above to make sure it is the data you need. Tap Restore to proceed. Step 4: In the popup that appears, choose either Merge or Replace. 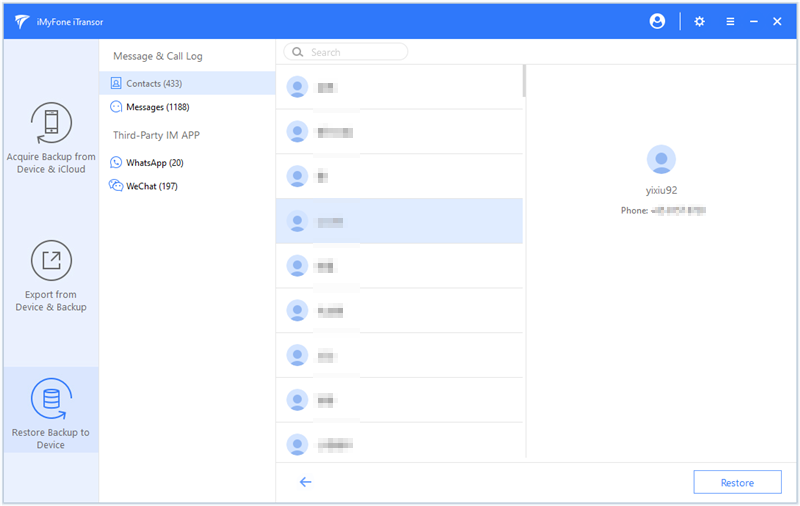 If you select Merge, you will combine your backup contacts with the contacts available on your iOS device. If you select Replace, the contacts currently available on the target device will be replaced. Step 5: Wait while iMyFone iTransor restores your contacts to your device. Make sure your device is connected to the computer during the whole restoration process. The contacts will be restored without any of your data being overwritten. Restore your contacts easily. Your iPhone must be synced with iCloud. Restore all your contacts easily. iCloud backup also needs a strong internet connection for it to restore any data. You may end up with too many duplicate contacts. Unlike iCloud, iTunes will not require an internet connection to restore your data. The method will overwrite all the previous data on the iOS device. It won’t need an internet connection. If you have never used the Message App to contact the person whose contact information you wish to get back, restoring the contact will be impossible. It won't require an internet connection. To restore contacts to iPhone, you can use any of the methods described above. 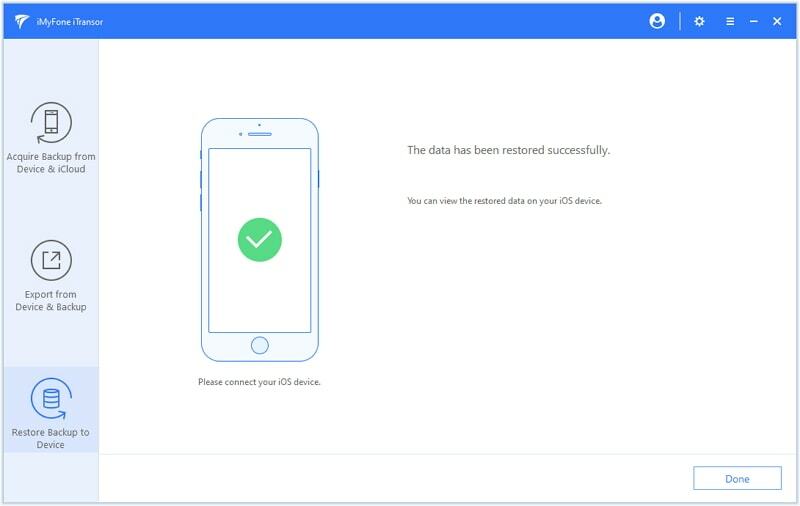 If you prefer not losing your data while restoring your contacts, the method we highly recommend is the iMyFone iTransor which has the free trial version before purchasing. Feel free to tell us what you think in the comments section.